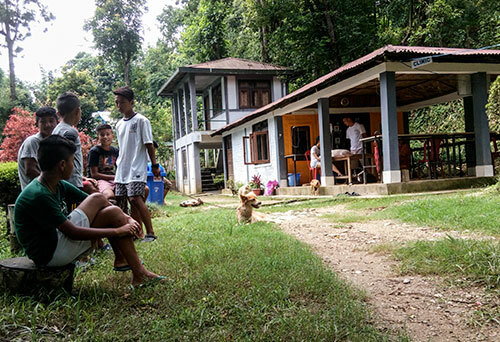 When the march for a separate statehood began in the Hills, Kalimpong town had lost its glow, and with the sudden fall on business and hubs, it was a big jolt for the traders and locals. 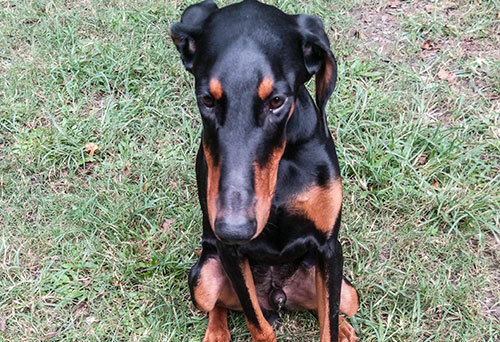 This sudden and unexpected indefinite strike which continued for three long months was like a bolt from the blue to all and sundry. It then became a battle ground with the agitation at its peak, and the challenges that people had to face. For the sick and ailing patients, it was a tragedy as there was no mode of transport; even the ambulance was restricted from plying. 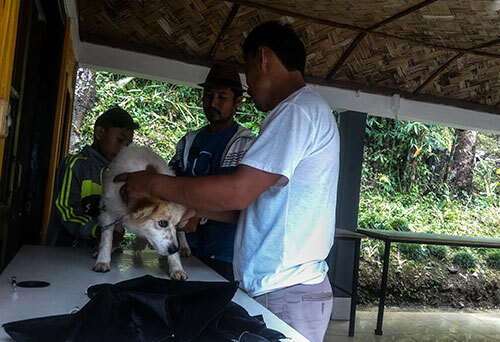 Many ABC camps conducted by Kalimpong Animal shelter were also prolonged and rabies and distemper vaccine remained due. 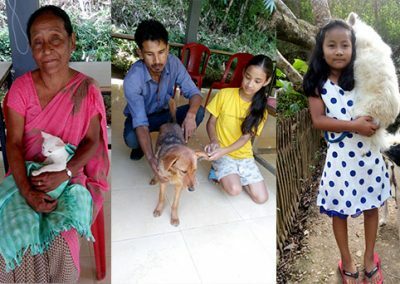 As they say ‘’people change and grow with time’’ the locals of Kalimpong town have developed a sense of respect and deep love for the Voiceless over the years and, this has in turn has helped animals live peacefully. 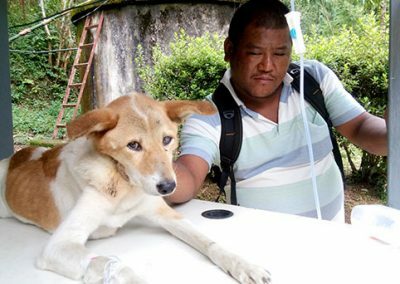 Since there are animals lovers in town who have felt the need for their ailing dogs even in this monsoon stricken rain and strike, they flew in from far-off places only to treat their ailing dogs by walking for miles and miles from very far. 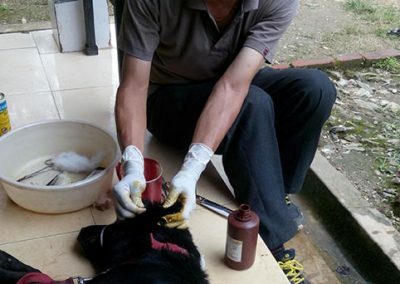 July is the peak monsoon season and due to frequent change in weather and monsoon rain stricken animals with kennel cough, respiratory infections and maggots’ infestation, and a few with dermatitis. 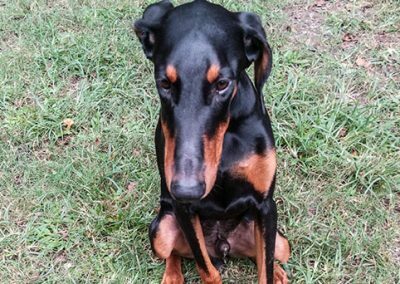 Dogs with a slight wound or cuts could fall prey to maggots in the monsoon season due to inbreeding of flies. Thus, when such cases arise, clinical treatment of animals is crucial. 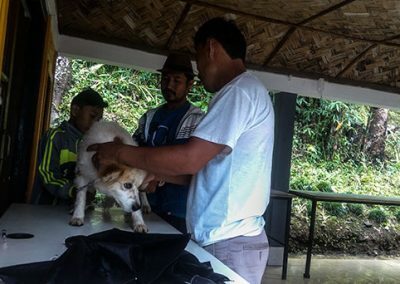 The shelter clinic, which is a great relief to the voiceless opened doors to all patients suffering from such ailments and, treated them immediately for their speedy recovery even in the wake of political unrest. 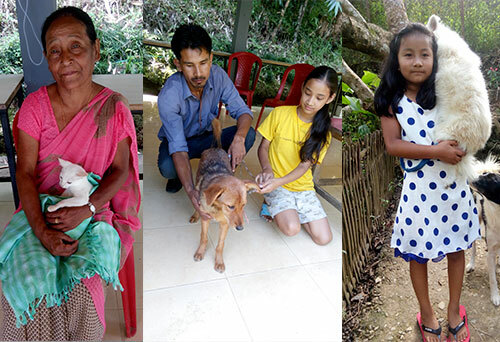 In this way, the journey of Kalimpong Animal Shelter has been remarkable in helping the sick and healing them.